Our economy-grade hazard tape available in two different colours: red and white or black and yellow. 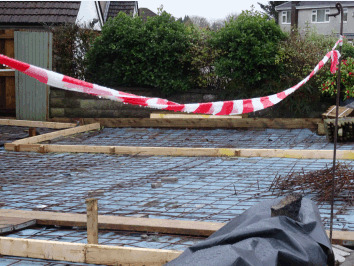 These barrier tapes can be used to cordon off dangerous areas or potential hazards; they can also be used as simple crowd control measures, serving as cost-effective security barriers that are easy to set up and remove. To order your hazard tape, select your preferred colour below. Our non-adhesive barrier tapes are made of 35 micron plastic polythene, and are suitable for both indoor and outdoor use. The tapes are lightweight, easy to dispense, and resistant to scratches and ultra violet light (UV). If you are looking for a different type of hazard tape, or if you need any further information about the products on this page, please call Label Source on 0800 3761 693 or email info@labelsource.co.uk.